Persons of all ages can struggle with depression, as it can prey on all age groups, genders, and walks of life. However, older people have an increased risk when it comes to suffering from depression because of the realities of aging, body changes, and other factors in an older adult’s life (such as potential loss of mobility). Similar to other diseases or ailments, it’s okay to ask for help with senior depression so you or your loved one can feel better and regain control of everyday life. When it comes to senior loneliness and depression, there are some signs to watch out for. Whether these apply to you, or you are a caregiver of an older adult who may be depressed, it’s good to be aware of the symptoms. One of the toughest things about depression is the fact that a person may not know that they are depressed, especially when it comes to depression in seniors. Lack of mobility and simply the aging process can easily lead someone to believe that this “down” feeling is part of aging. But it’s not—it’s still important for mental and physical health to try to “feel good” at any age. While there are more signs of senior loneliness and depression, these are a few key attributes to keep in mind. Sometimes there may also be an increase in alcohol intake, and even isolation when it comes to socializing and group activities. One of the toughest things about loneliness in the elderly, and depression specifically, is that it can often mimic physical complaints. For instance, lack of energy and aches and pains may seem like a real, physical complaint, when in reality, it has its roots in senior loneliness and depression. It can be extremely tough to discern the two and it might be a good idea to consult a physician to first rule out that anything physical is wrong, and secondly, to pursue a course of action to overcome depression. Seniors may also feel that this is part of the aging process and may not want to talk about their feelings with others. The effects of loneliness in the elderly are many. Senior loneliness and depression can contribute to poor physical health, as well as offering a poor quality of life on a day-to-day basis. Mental health is just as important as physical health, and the two are interconnected. 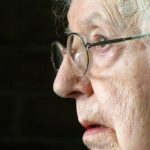 While a doctor can easily map a course of treatment that may include medication, outpatient therapy, or both, there are other ways to try to relieve depression in the elderly. In fact, there has been a loneliness epidemic in seniors of sorts, and this can be treated with senior companionship. Many seniors are at a point where they are isolated. Perhaps friends and family members have passed away. Younger family members may be busy and may not have the time to spend. If you are a caregiver, you are a companion of sorts, but seniors need more social interaction and physical activity. Finding local support groups for lonely seniors is a good idea, allowing people to get together for various activities they may enjoy. With everything from Wii parties to ice cream socials, events like these give seniors a chance to get together and make new friends. Also, in some cases, service animals have been a great defense against combatting senior loneliness and depression. Adult day care is another idea for caregivers to consider for someone with senior loneliness and depression. This type of atmosphere is social and fun for seniors, as well as therapeutic for both caregiver and patient. To learn about mobility equipment and products that can help make life easier for seniors, contact Williams Lift Co. today. With everything from wheelchair ramps to stair lifts, we can help make mobility a reality.